Recently, one of my reader posts a comment question on my post “Tips how to change your Facebook account using iPad or iPad Mini” asking how to reset the Candy Crush Saga progress to level 1. 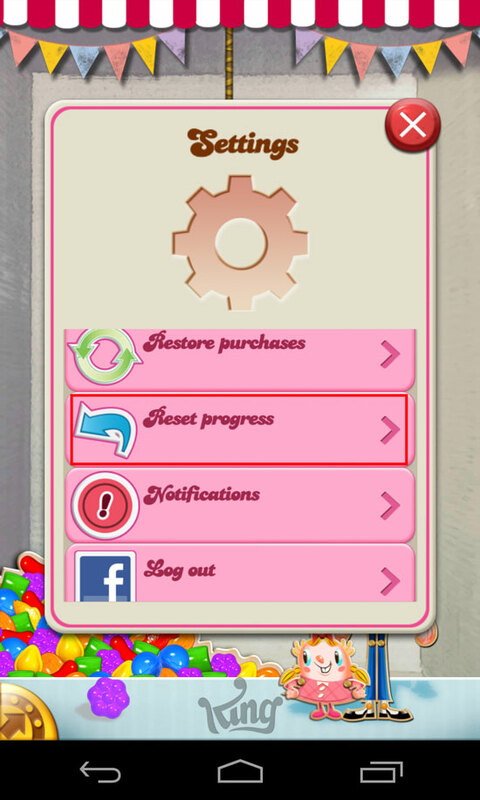 I don’t know exactly if there’s a way to reset Candy Crush progress to level one, so I grab my phone and launch candy crush to check if there’s an option to reset the game, in the settings I saw the “Reset Progress” option. 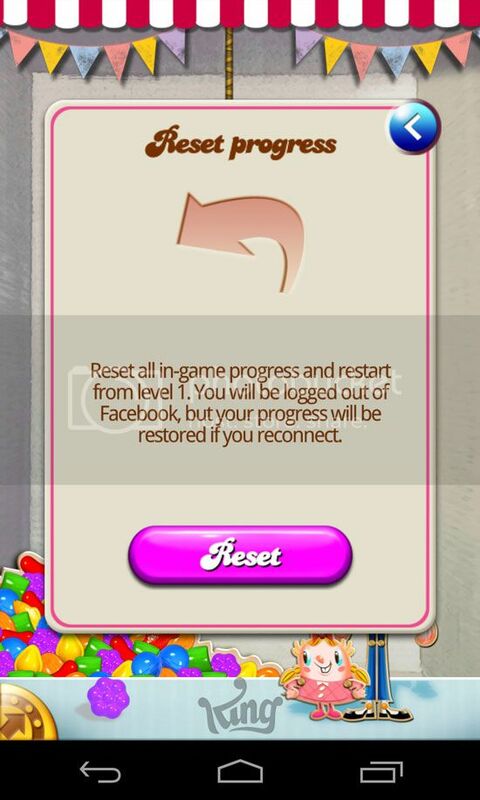 Here’s how you can reset your Candy Crush progress using your iOS and Android devices, please note that resetting your progress will log out of Facebook but your progress will be restored if you reconnect. NOTE: You can use these instructions for both iOS and Android Devices, in the screen shot below I used Nexus 4 with Android 4.3 Jellybean. 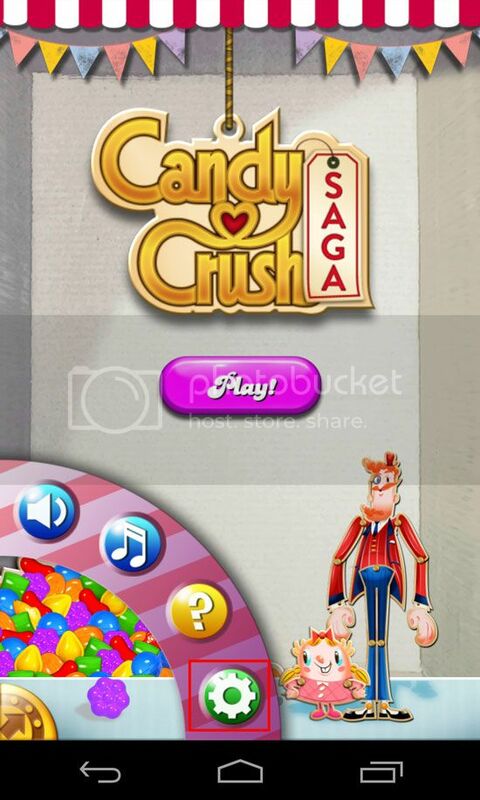 After you open Candy Crush App, on the left bottom part of the screen you see a shield like gold color option, tap on that and the settings option will appear, if you can’t see the green settings button, tap on exit first it should be a red button on the same place of settings then repeat the process, see the screen shot below. After you tap on reset progress a confirmation window will appear like the one below.